Living in California, I had heard about the world famous Bronner’s Christmas store in Frankenmuth, Michigan. After we moved to the Midwest, I knew it was my chance to visit and planned an easy weekend trip to Michigan in October 2009. Their busiest weekend is after Thanksgiving with over 50.000 visitors. So, we knew we wanted to visit before the Christmas season started to avoid the crowds of holiday shoppers. During that weekend trip we stopped in Detroit to visit the Ford Company Manufacturing Plant and the wonderful Henry Ford Museum. My husband and son loved visiting the assembly plant (OK, it’s a guy thing) The Ford Museum turned out to be a very interesting museum and had an extensive collection of historical memorabilia. 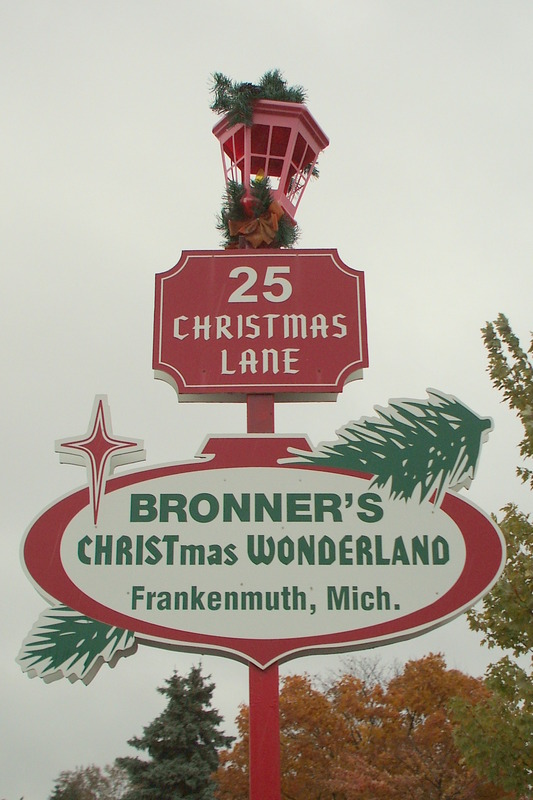 Since I want to concentrate on Bronner’s in this post, please look for a separate Travel post in January 2013 with detailed information on those two destinations. Before the holiday season got too busy, I knew I wanted to visit the “World’s Largest Christmas Store”. I had my wish list of the ornaments I wanted and I was ready to shop!! Located in Michigan’s “Little Bavaria”, the store is in the charming town of Frankenmuth. Founded in 1945, this large retail store has over 90,000 square feet of space and over two million visitors annually. 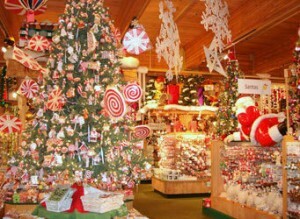 Walking into the store the sights, sounds and feelings of Christmas can be almost overwhelming. It is a huge store and can take a couple of hours to walk and shop all the various departments. 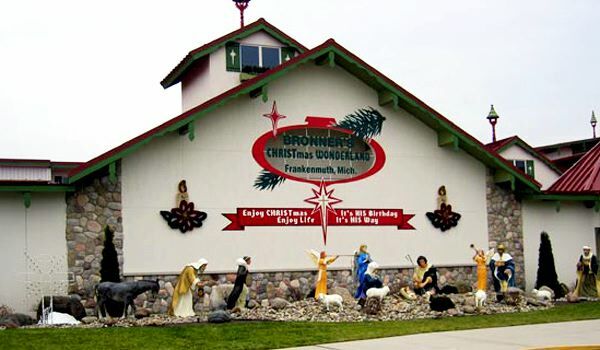 The store inventory includes a large assortment of Christmas ornaments, Nativity sets, Christmas lights, Christmas decorations and collectible Christmas items such as Fontanini, Department 56 and Precious Moments. My husband, son and daughter were not interest in shopping and after looking around the store for a short time, they decided to go into town. I was left alone for a few hours and the shopping experience was wonderful and not rushed. Of course, when I was picked up at the prearranged time, I still wasn’t ready to leave!! We would definitely like to go back to Frankenmuth because it was such a quick weekend trip and there was so much more to see and many more places to visit. The atmosphere of Michigan’s “Little Bavaria” was very reminiscent of the charming little Danish town of Solvang, California. Both places have great stores to shop and wonderful restaurants to eat. Maybe on a future trip up to Mackinac Island, we can plan to spend an extra couple of days in Frankenmuth.